Customers can use Line2 to add a second line to their smartphone or turn an iPod, iPad or tablet device into a fully-featured telephone. 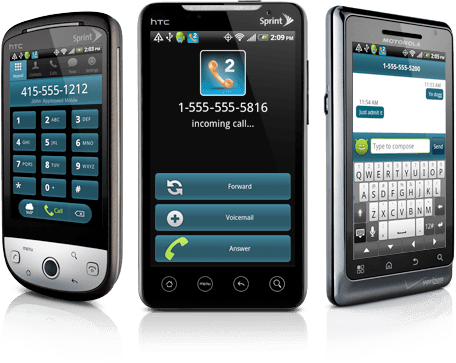 The app allows customers to make phone calls and send texts where they don’t have cell reception, reduce their cell bills, add a second line for business use, or get another number so they can keep their personal cell number private. Customers may also port in their number to Line2 for free. Line2 for Android includes all of the functionality and features that are currently available to Apple iOS users plus few Android-only features, such as the ability to speak their text messages and have them transcribed so they can text without typing. Line2 allows Android users to place and receive calls over Wi-Fi, 3G/4G data, or cellular voice networks using the same number. If Wi-Fi isn’t available, Line2 can use the phone’s 3G or 4G data network to place or receive the call, while avoiding cellular per minute charges. The application detects the best available network based on customer preferences and places and receives calls over that network automatically. This allows customers to use one app and number for all types of calling. Line2 for Android offers full backgrounding support. This means customers can receive calls on their Line2 number even when they are running other apps, browsing the web, or listening to music. The app’s Wi-Fi capabilities allow international travelers to place and receive calls while overseas without incurring voice or data roaming charges. When using Line2 over Wi-Fi, calls to any number back home will be free as will calls to other Line2 users, wherever they are worldwide. Calls to international numbers start at $0.02 per minute, whether calling from home or abroad.